I have advice for any young person starting out in film, TV or video production. Find a craft that you love and get good at it, so you always have a job. For me, that craft is editing. I am thankful for my choice. I learned the craft of film and TV editing early in my career, and it has always been a joy for me, and a steady way for me to make a living. My first job was as a production assistant in the Current Affairs and News Department at KQED in San Francisco, and one day I was driving Mr. Ken Ellis, the News Director, to a shoot. I knew I wouldn’t get that many chances to be alone with him, so I was bold enough to strike up a conversation. He was right. I took his advice to heart and I learned the Anonymous Art. Editing is hard to define, but here’s my definition: good editing is taking images and sounds, music and effects, eliminating most of it, and combining your best choices into a story so compelling that it pulls the viewer in completely, and they experience the story as a whole, unaware of how it has been put together. That’s why it’s anonymous. My goal is to do my job so well that I disappear. The wrong edit, a musical stumble, or an unnecessary flourish will just remind everyone that there is someone behind the curtain manning the controls. What makes it an art is nebulous. When a story works, it’s not always obvious why, since the work itself is hidden within the storytelling. Likewise, when a story almost works yet is not quite satisfying, it also hard to pinpoint what has gone wrong. 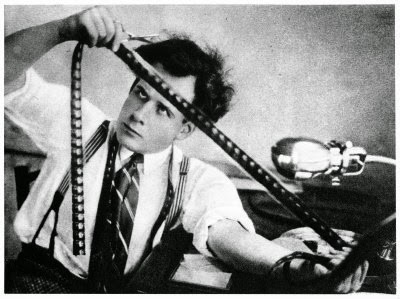 There are dozens of ways to order and re-order the same material, and two editors often have different ideas of what’s “best” in the footage they are given. This means two editors will always edit the same material in a different way. But when the results shine, it’s clear that something almost magical has happened. That’s what can elevate this anonymous process from a craft to an art. There are some trade-offs that go with it, of course. But every disadvantage is an advantage, if you look at it from another angle (like different shots in an edit bay). The editing process is solitary and laborious...unless you like being alone. I have the soul of a writer and editor, so I’m fine with being by myself for long stretches. It takes years to learn how to do it well...which means you can’t fake it, either. That gives you job security. The director, producer and even the actor take credit for your work...but they create the editing jobs. A TV show generally has one producer and one director per episode. Go down a few tiers, however, and that’s where you find plenty of work for editors. You also learn how to be a better director and producer by starting as an editor, since you see what works and what doesn’t, and you end up fixing it or making it shine. Editing is also a refuge. I have been a writer, director and producer, and all three jobs can be frustrating and exhausting. You work long hours, often far from home, and your day is never done. There is always some other phone call or tweak you can make. These jobs can also suddenly end, and you may then go for months without another directing or producing gig. Most of all, I am thankful for editing. Years ago, it taught me how to direct and produce, and gave me steady enough work that I could create side projects of my own. Now I am in a new phase of my career, and I am stepping back from producing and directing and work on the road, and I want to spend more time writing books and more time with my family. Thus, I am back in the edit bay. And I am also thankful for all those people who hired me, and who continue to hire me, because they accepted me for who I am. Almost every producer and director who hired me not only tolerated my side projects, they also encouraged me. They also allowed me to live a normal life, with the ebb and flow of family, illness, life, death, happiness and tragedy, which I bring back to the edit bay as life experience. All they want from me in exchange is to edit the best show I can, and deliver it to them on time. For their patience, indulgence and collaboration I am truly grateful. And the fact that they keep calling. Now, I have to get back to my edit.